Good news! My wife Ali just called to me from the loft with the enticing words “I’ve found something you might be interested in”. I walked onto the landing to find her hand dangling a very tatty looking “Prince Cigarettes” bag from the loft hatch. Inside were my long-lost black and white prints and travel diaries from the 1990’s. 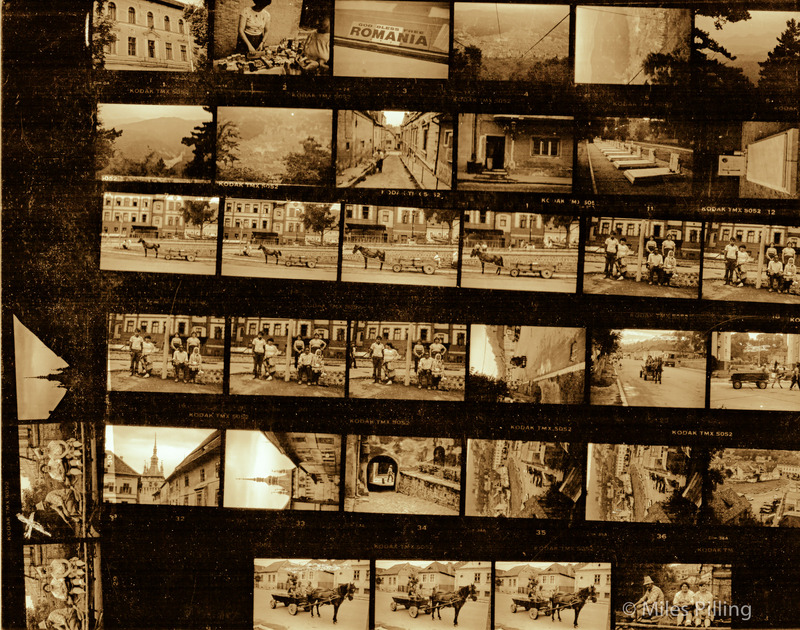 The photos were taken in Romania during an overland backpacking odyssey we made by train from London through Eastern Europe, and then around Turkey in 1992 not that long after the fall of the dictator Nicolae Ceausescu. During the trip, by pure chance, I was invited to photograph members of the Romanian National Circus in their caravan encampment in-between performances. It was a unique glimpse into another world for me. I’ll be creating a post or two with the prints from that experience and others in the coming days. 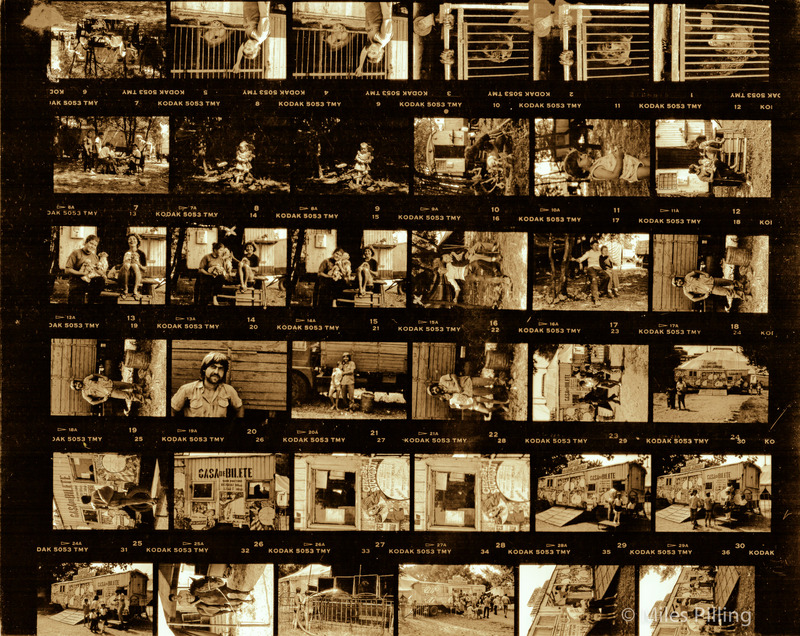 As a taster, here’s a quick scan of the contact sheets (give them a click and you can see them at large size). They are toned yellow as it made them easier to see – it also reminded me of that lovely glow when your print’s developing in the dev’ tray of a black and white darkroom (full of nostalgia me). 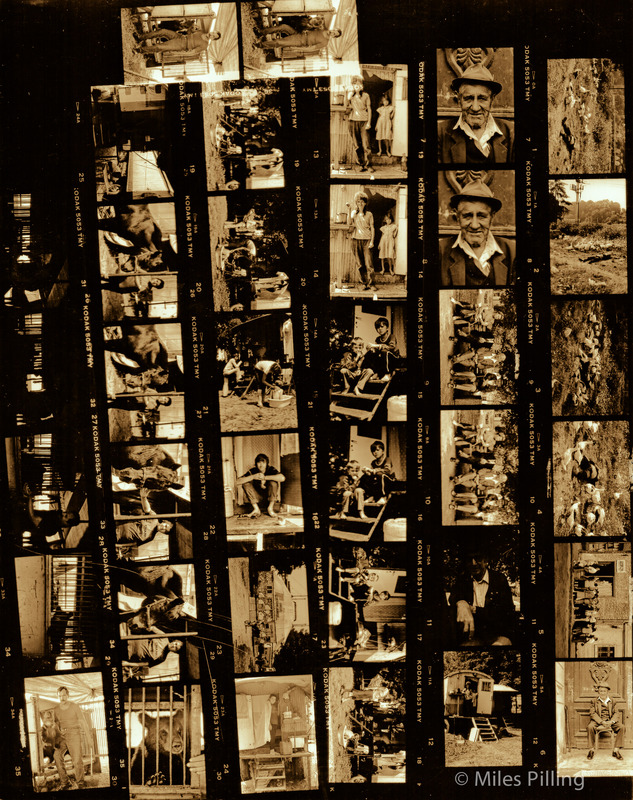 I’m going to have to borrow a negative scanner off a good friend of mine – there are some great images on these contacts that I never even printed! More coming soon…. words and pictures © all rights reserved Miles Pilling . It’s great seeing prints appear in the developer tray isn’t it. I keep thinking of making a small B+W darkroom at home. I did art college in the early 90’s – just before digital really got going so we were shooting on film. I also worked in an advertising studio for a few years in the 80’s after leaving school. 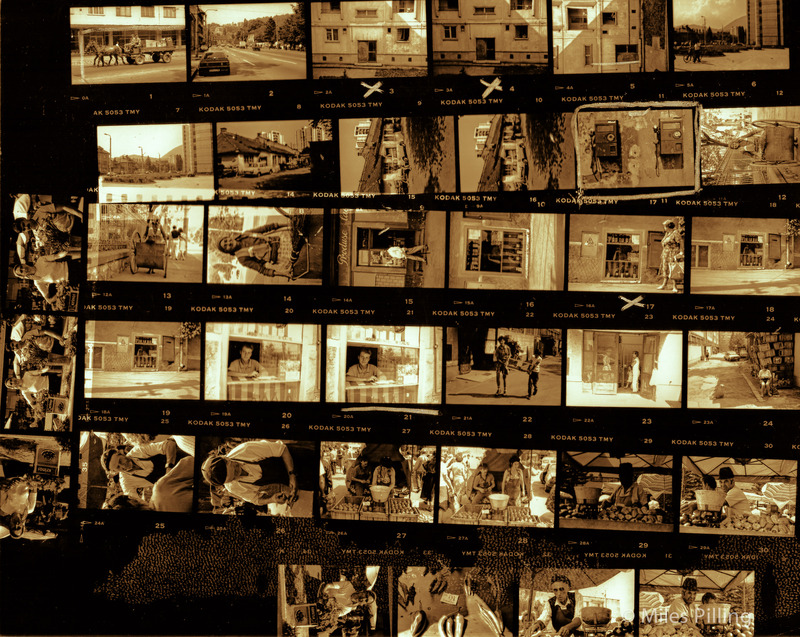 We used 5×4 and 10×8 sheet film and Sinar plate cameras!